Group Therapy is a form of therapy that uses the power of group dynamics and peer interactions to increase understanding of an issue like depression or loss and to develop skills like coping with panic, mindfulness or how to communicate with others. We offer groups throughout the year that run anywhere from 4-6 weeks. You don’t have to be in individual therapy with us to participate in a group. Preregistration required to ensure clients are a good fit for the group. Uplift Together: A Teen Relationship Group for girls ages 13-17 addressing difficult emotions that come up from intense relationships like bullying, dating violence, or friendships. Using creativity like music and spoken words to express the unspoken. 6 Session Group starts 3/31/19 4:15p to 5:30p. Preregistration required and limited slots available. 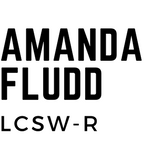 Contact 347-868-7813 or email us at amanda@amandafludd.com. If you are nervous about being in a group that is expected and will subside within the first 15 minutes of the first group. All of our participants leave ready for their next group experience. Call or email to register at 347-868-7813 or amanda@amandafludd.com. Nurturing Your Flower: Teen Sexual Health Group addresses the skills, behaviors, and attitudes required to master adolescence in the world of social media, peer pressure and self-doubt. Topics include oversharing on social media, healthy-vs-unhealthy relationships, self-worth, how to cope with life, and more. 10/6/18 from 3p – 4 pm. UNREST is a 4 session Skills Group designed for ages 15 to 19 Adolescents that struggle with anxiety. Feeling worried or nervous is a normal part of everyday life. Everyone gets afraid or anxious from time to time and for some its a regular experience that interferes with daily life. For everyday worry to the extreme, this group will improve your understanding and coping skills to tackle that unrest. DISCOVER CALM: Was geared towards children ages 8 to 13 to develop the skills they need to better manage difficult emotions like sadness, disappointment, anger, loss or change. Began 5/20/18 at 4:30p. Both groups were an excellent opportunity to also develop social skills in a small and safe setting while gaining skills to navigate life.